Many people think that blacksmiths and metal workers no longer exist in Ireland and that they have to accept poor quality metal work fabricated from components sourced from the other side of the world but this is not the case. Armed with computer-aided design, power hammers and other sophisticated machinery, the capabilities of the modern artist blacksmith have been increased and added to his armoury of hand skills, hammers, tongs and anvil. 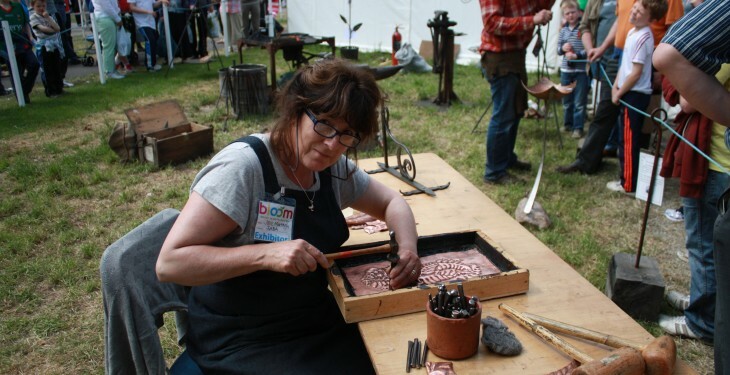 This is according to metalsmith Jane Murtagh of the Irish Artist Blacksmith Association. “There are 60 blacksmith and metal smith in the association. We all come together once or twice a year where we have forge-ins and master classes. It’s a way of connecting with other smiths and supporting eachother,” explained Murtagh. The association strives to preserve and pass on the knowledge, art, and skills of metal and black smithing. Through its website, it also works to share this information and passion for both crafts with the public and also to advertise each artist, it is a business after all. “There is a lot of work there for artists. There are about 40 of us who all work most of the time in their craft. So there is definitely a living to be made,” Murtagh added. The association also hosts workshops at many county shows throughout Ireland and of course the Bloom Festival each year. For more information check out irishblacksmiths.com. 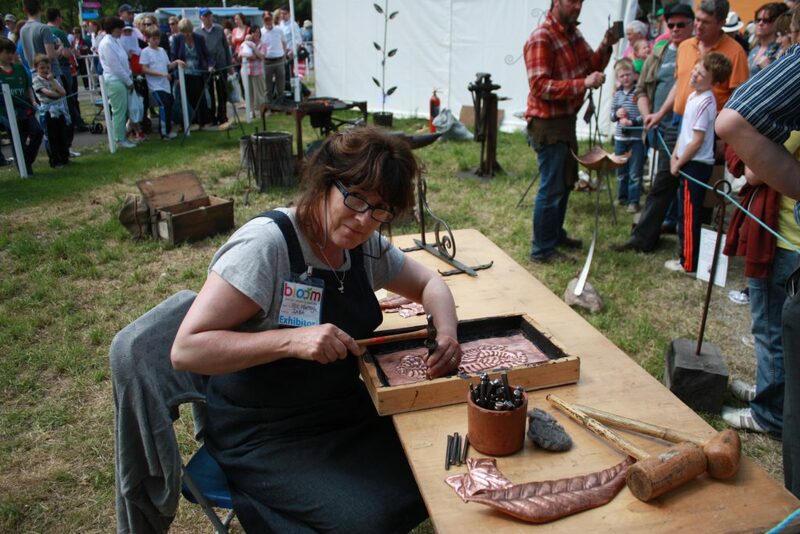 Pictured Jane Murtagh of the Irish Artist Blacksmith Association.